Gift giving can be a trying time for those trying to find a gift for the woman who has everything. Rather than giving mom the generic perfume or meal at a restaurant, travel with mom and give her the gift of adventure and help cross the aurora borealis off of her bucket list! Gondwana Ecotours’ Alaska: Northern Lights Adventure has been recommended by 4 publications as a tour that moms and their families will love. Losing yourself in nature is a great way to reconnect with the environment and the larger world around you, especially while traveling! Insure My Trip’s travel blog, The Magazine, writes that going on vacation will, “…let mom let go of everyday stress and enjoy all that nature can offer.” Additionally, spending time on unique adventures like hiking with reindeer paints a complete picture of Alaska’s natural world! From soaking in geothermal hot springs to admiring the landscape of a snow-dusted forest, Alaska will immerse visitors in natural beauty. For photography buffs, nature provides the best possible subject. On every Northern Lights Adventure, guests bring home amazing photographs of the Alaskan wilderness, especially the Aurora Borealis. KD Hamptons recommends, “…by night have the opportunity to photograph the Aurora Borealis under the massive Alaskan sky!” Gondwana trip guides will wake up guests each time the lights flash across the sky so they can capture epic shots. Additionally, a professional northern lights photographer will be available to share her tricks of the trade. Spending time with locals and exploring the native culture is a big part of the Northern Lights Ecotour. Tours.com suggests several of the cultural adventures that guests will encounter, from cruising “…between snow-covered trees on the back of a dog-sled” to exploring “…the frozen art of an ice-sculpture museum.” Staying outside of Fairbanks and learning about regional sports, nature and the quirky local culture will give guests a well rounded experience of Alaskan life. Give Mom and the family the gift of Alaskan adventure! The aurora borealis is one of nature’s most dazzling natural shows. Many people dream of seeing this amazing natural phenomenon, but few get to experience it. 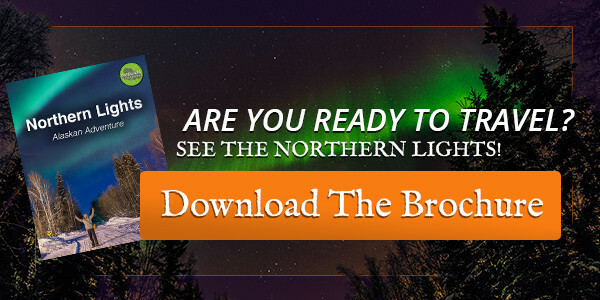 If seeing the northern lights has been a fantasy, help make it come true! Not only is this the trip of a lifetime, but traveling with family creates an opportunity to bond and make great memories. Join Gondwana on a Northern Lights tour for an experience the family will never forget!